Easy cache near The Ford of San Felipe. We placed here the cache during our wonderful honeymoom! 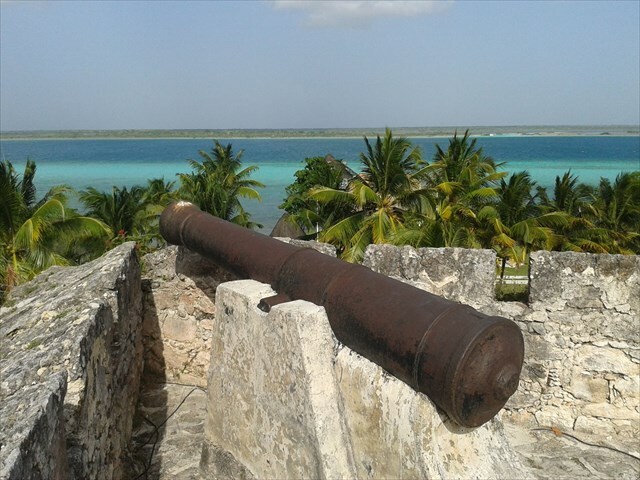 The Fort of San Felipe is over 270 years old and provides visitors a rich view into the history of Bacalar and the surrounding region, from early pre-hispanic times through the Caste Wars. Located on the eastern edge of Bacalar's town square, this beautiful stone Fort is surrounded by a deep "moat" and includes the museum. This museum is open every day except Monday, but take no stress, cache is outside of the museum.